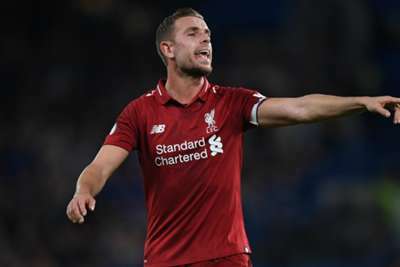 Jordan Henderson and Naby Keita have been ruled out of Liverpool's Champions League clash with Red Star Belgrade. Keita is back in team training but will not be risked for Red Star's visit to Anfield, as he recovers from hamstring damage suffered during the international break. "It's not too good, to be honest," manager Jurgen Klopp told Liverpool's official website about Henderson's injury. "It's nothing we have to worry too much about, but it's a hamstring issue, so we will have to see. "He will not be available for tomorrow [Wednesday] for sure, and probably not Cardiff, but hopefully then he can be back. We will see. "Naby is already outside running, but the game tomorrow will be too early for sure." "Millie looks fine and should be okay. Gini got a knock on his Achilles but should be okay and Sadio trained and should be fine," Klopp added. "[We have] a couple of problems, but still enough players to choose from."